We think Bear Grylls is a good 'un. One moment he's describing how he built a shelter in a storm whilst fending off wild snakes, the next moment he's vulnerable and humble as he shares his faith journey then before he's finished roasting aforementioned wild snake, gives wonderful advice in giving our best to relationships. What's wonderful about Bear is that he seems to say yes to the challenge. Whether that challenge is learning to love sacrificially, stripping away empty religion from his faith or taking on the little task of climbing Everest. We consider ourselves to be off the beaten track here at Oasis Surf House. We're in the north of the island, halfway up a volcano and between two of the island's best surf spots, we tend to attract adventurers and surfers. Ivan takes exploring to a whole new level! Did you know that just beyond the caves tourists are invited to explore is a series of caves hiding seven lakes? We didn't...until Ivan found them. Here is one more quote from Bear which we felt defined why Ivan reminded us of him so much. 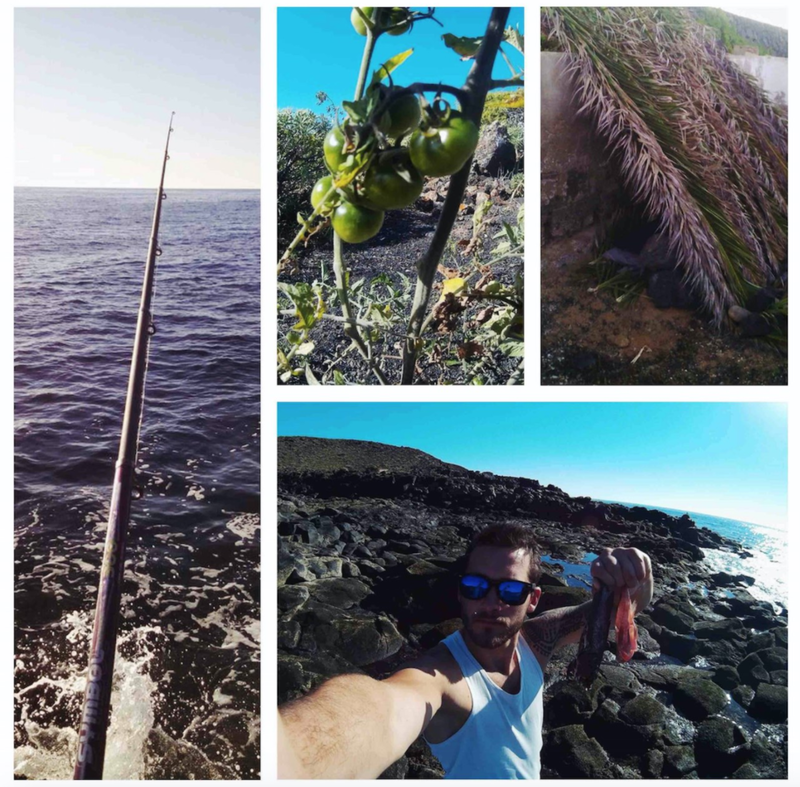 Ivan looked for more out of Lanzarote, he combed the island for new ways to see its raw beauty. He may have found himself into a few scrapes. 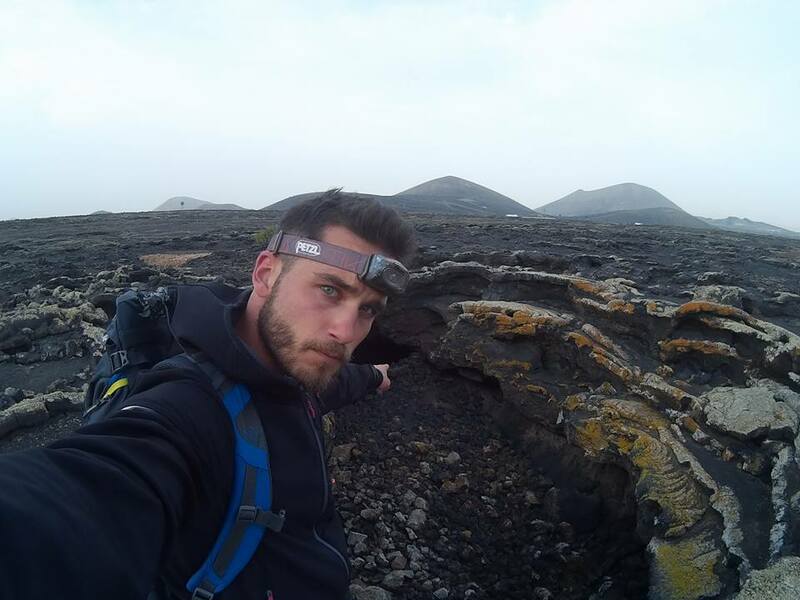 In particular when he explored an unmarked route of 14km from Mirador Del Rio along the base of the cliffs of Famara (towards Oasis Surf House). As the light faded and he reached his last kilometer he observed that the way was too dangerous as the waves were crashing against the cliff edge making the narrow path treacherous. So Ivan turned back to his starting point. Climbing 13 kilometers in the dark, he arriving at midnight back to a lookout point at the top of the cliffs the middle of nowhere. He was thankfully able to hitch a ride back with a good story to tell. So we won't be recommending that particular route if you come to visit Oasis Surf House! We will tell you however which volcanoes Ivan cycled around, how to find the caves not visited by your average tourist and hope you bring back some freshly caught fish. We hope you''ll come and explore!